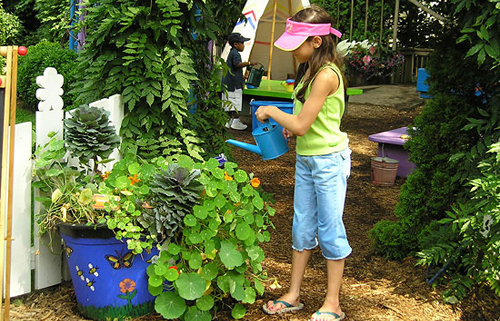 As we have said in past posts here at Arizona Pottery, gardening with your kids or grand kids can be a wonderful experience. So many great things will happen. They learn, they appreciate, they get involved. Best of all they are away from the television. Woo Hoo! 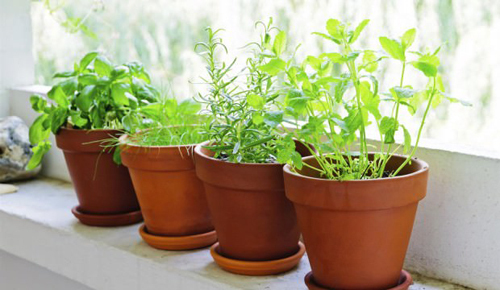 One of the easiest ways is to have them plant and garden some fresh herbs. They are easy to grow, fun to harvest, they get to eat them and you get quick results. 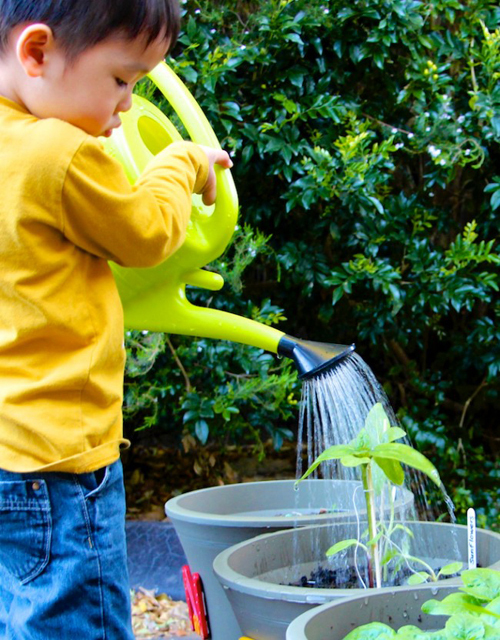 There are so many types of herbs that you can plant into flowerpots and have great success but we are going to pick a few that we think are age appropriate. Rosemary is an easy one to start with because it is used in many kinds of meals. It is a wonderful addition to chicken, and pork and is used a lot in grilling, salads and baked potatoes. This flavor is mild and yet pleasant. Mint is an obvious choice. It is perfect for desserts, ice tea and lemonade. 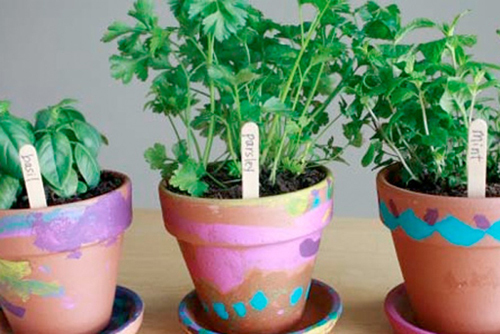 It grows fast, and taste yummy so we think most kids will love this potted herb. Dill is fun because of it's fine feathery fronds. It looks fuzzy and kids will love that. It also makes a great addition to dips for veggies which many children love. This is a ideal herb for small kids to pot up. Lastly we think Basil is a good herb to pot. The flavor is very mild and the leaves a large and easy to pick. Of course it's perfect when chopped and added to pasta or salads. The colors are amazing and fun for the little one also. So take your kids to the local nursery and have them help select the herbs we mentioned above. 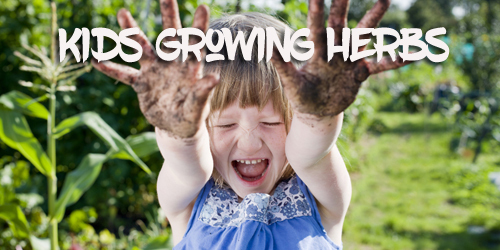 Haul out some clay flowerpots and potting soil and let them help you get them started. We think you will pleasantly surprised how much children enjoy this type of DIY project. [Read More] How thirsty are your potted plants? [Read More] Winning Windowbox Planters. potted herbs, kids and potted herbs, kids potting up herb containers.